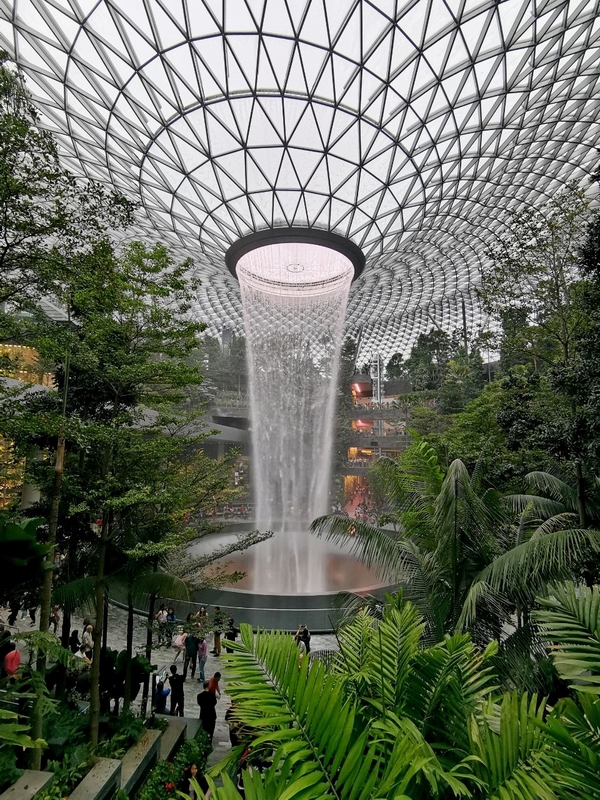 The highly anticipated Jewel Changi Airport officially opens on 17 April 2019. The beautiful and glittery mall features the HSBC Rain Vortex, Canopy Park, Shiseido Forest Valley and many more and is also home to more than 280 shops and food and beverage (F&B) outlets! 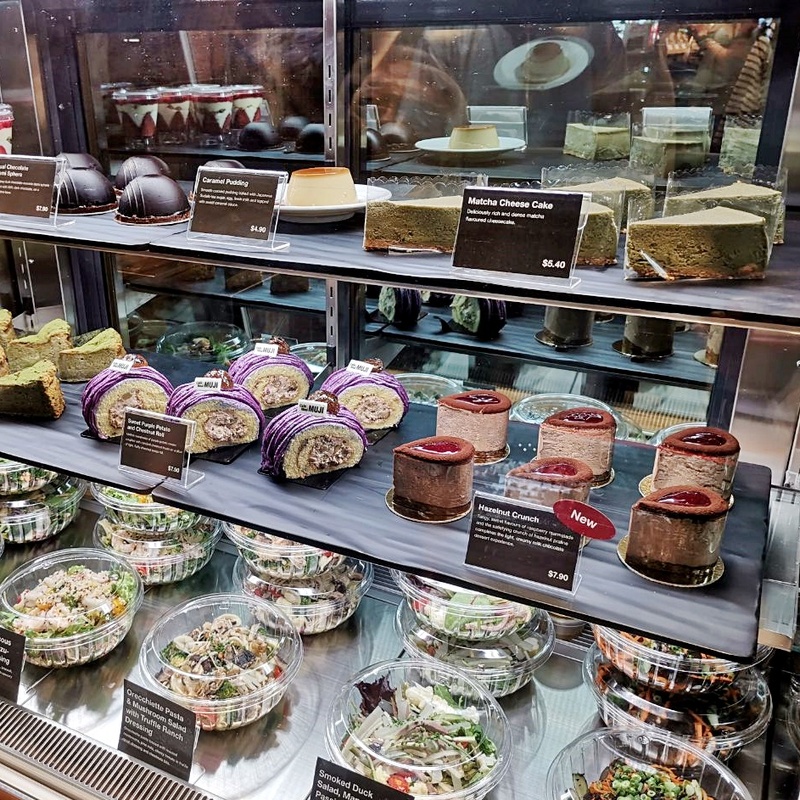 Overwhelming amount of food choices, not sure what to pick? 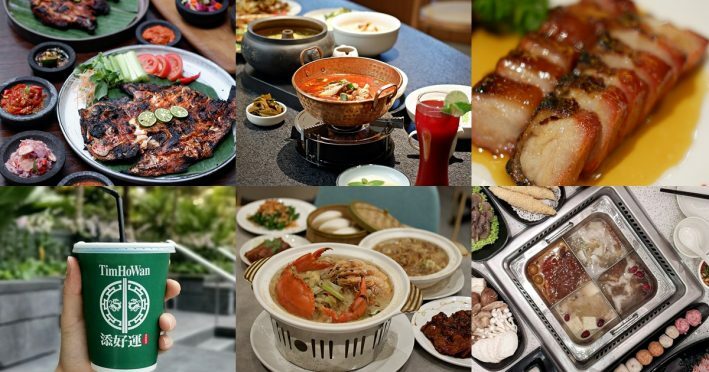 Not to worry, here are the top 10 must-visit restaurants in Jewel Changi Airport. Kam Roast a Hong Kong’s Michelin-starred restaurant is opening Singapore’s second outlet in Jewel Changi Airport! Kam’s roast Signature Roast duck the classic favourite amongst the restaurant’s guest is a must try. 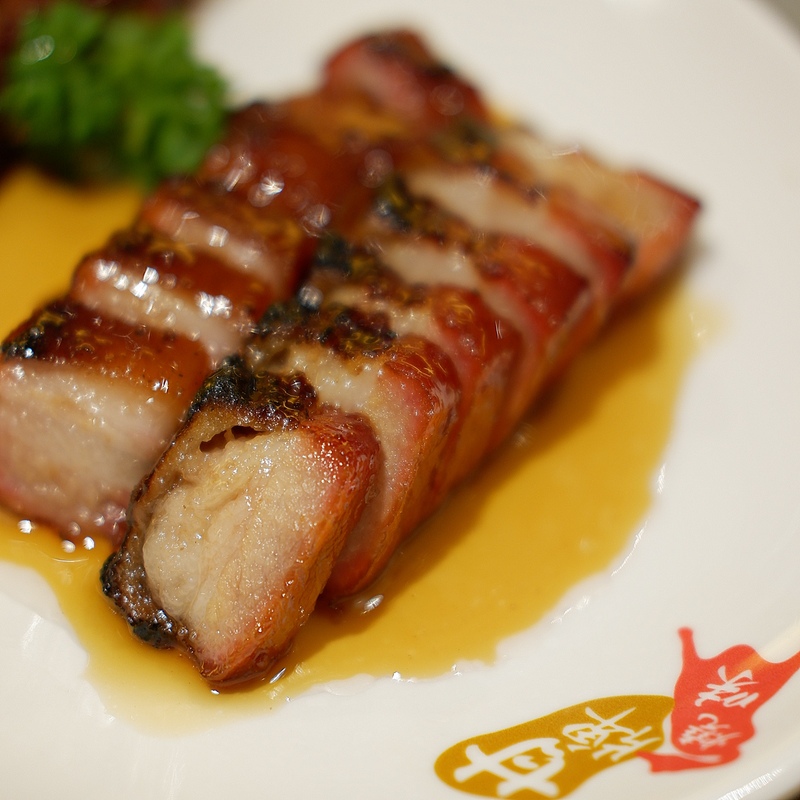 Roasted Cantonese style, the meat is marinated with Kam’s roast time-honoured secret blend. 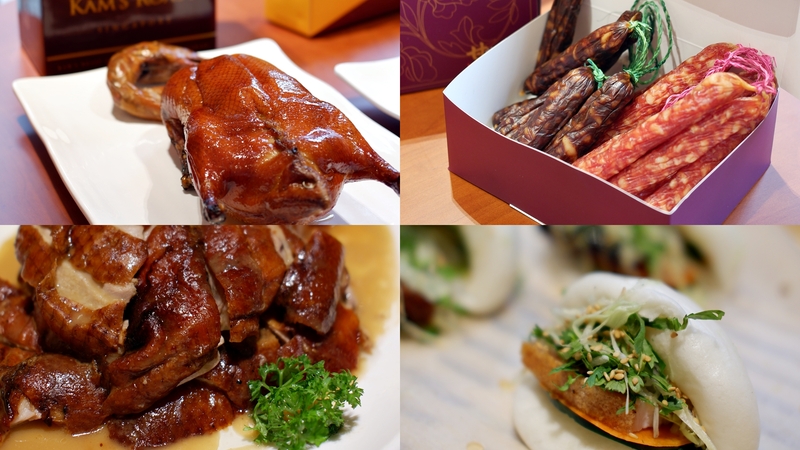 Exclusive in Jewel Changi, the roast duck is available in a travel gift pack ($60+) an Ideal souvenir gift for family and loved ones! I personally adore the Iberico Char Siu. The Char siew has an enticing ratio of lean meat and fat, well seasoned and I love the delightful crunch from the charred bits. 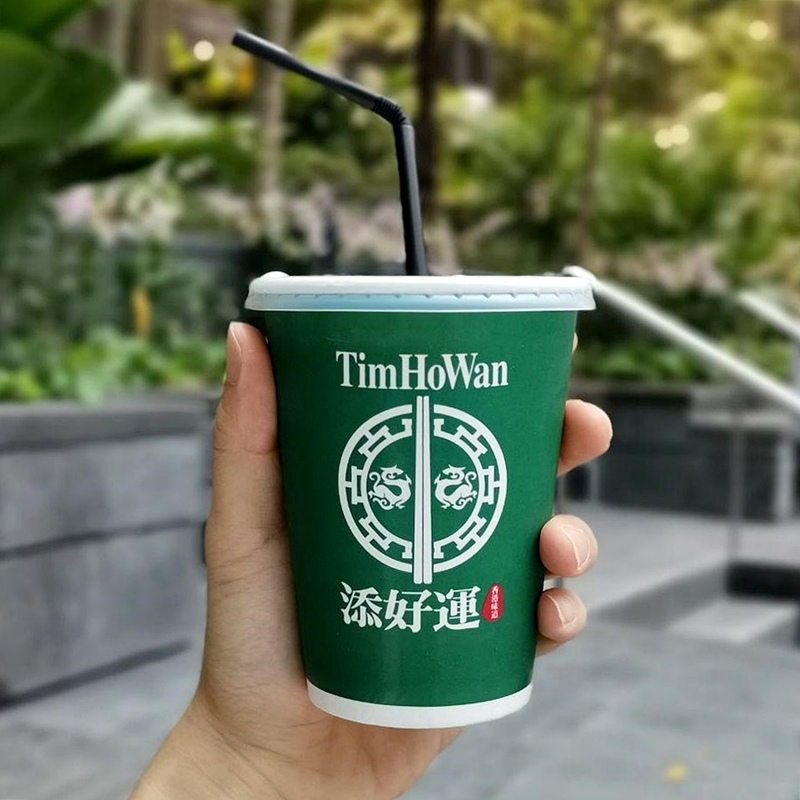 Tim Ho Wan has marked its presence in Jewel Changi. For the first time, the brand is opening a restaurant in an airport setting. Available exclusively at Jewel Changi, customers will get to enjoy an authentic and heartening bowl of Hong Kong Wonton Mee. The dish features noodles specially flown in from Hong Kong. 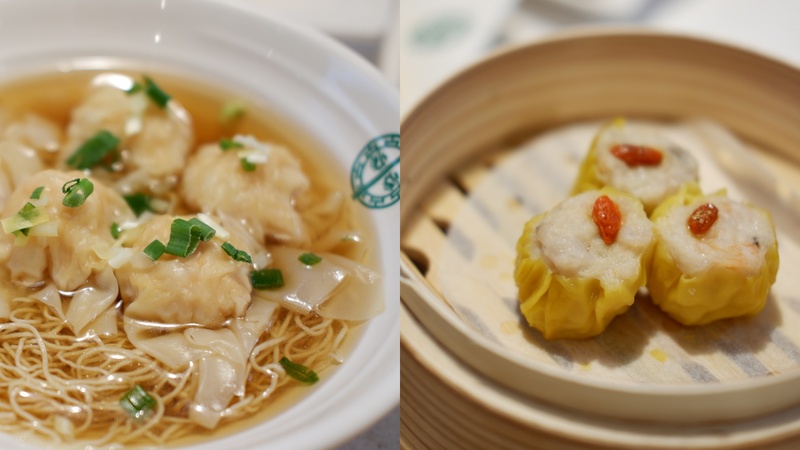 The Wonton is handmade daily, and the silky exterior houses a generous filling of pork and prawn. 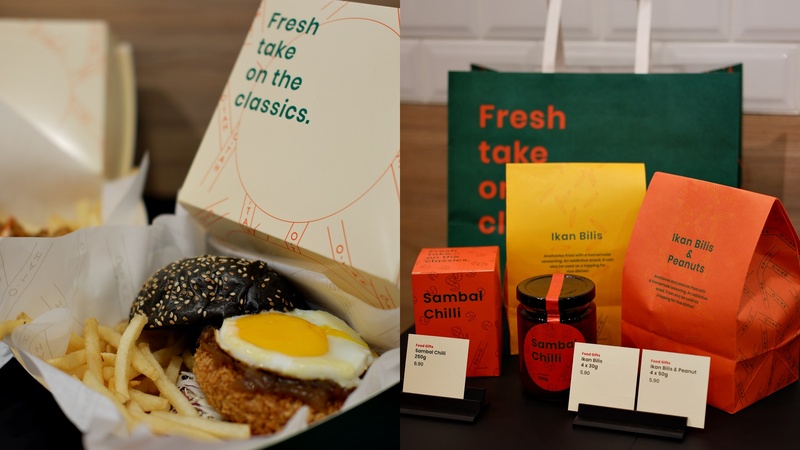 For Indonesian cuisine lovers, Sama Sama by Tok-Tok brings you homely authentic Indonesian comfort food. 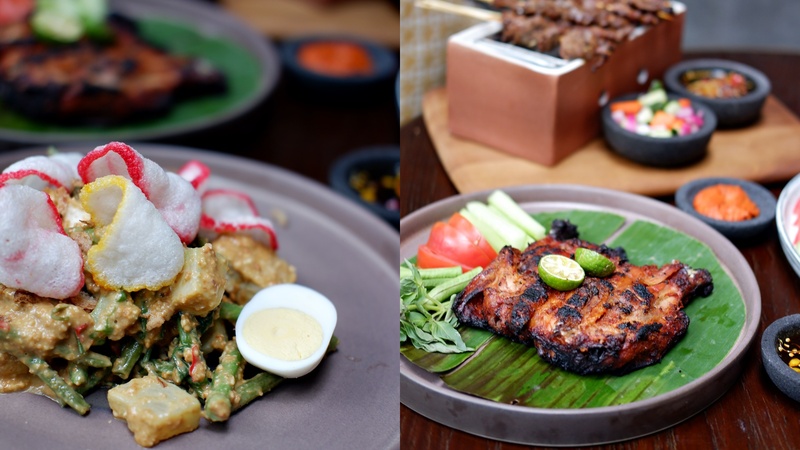 Anticipate an array of delicious Indonesian cuisines with authenticity rich cultural heritage. Fun fact: Sama Sama means “you’re welcome” in the Indonesian language which is an expression of appreciation, a customary response of gratitude. Sama Sama by Tok Tok welcomes all guests to enjoy the best of Indonesia in its modern, cosy yet modern setting. Immerse yourself in a gourmet dining experience. 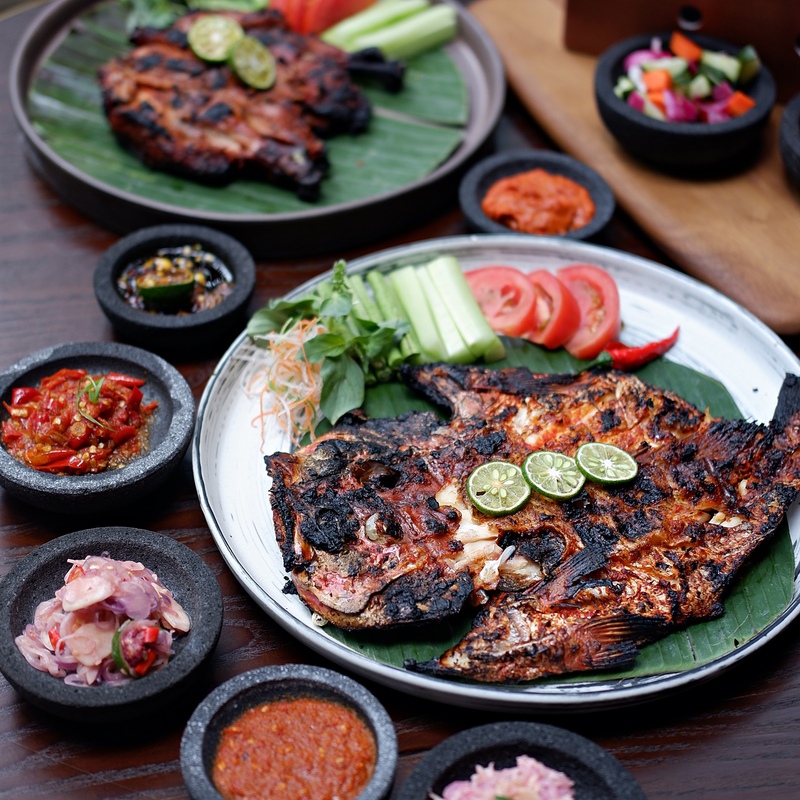 Personally, I prefer the Kakap Merah Bakar Jimbaran ($39++) boasts the freshest catch of a whole red snapper grilled in Jimbaran-Bali style with traditional house-made Balinese Shrimp paste and Javanese sweet soy sauce. 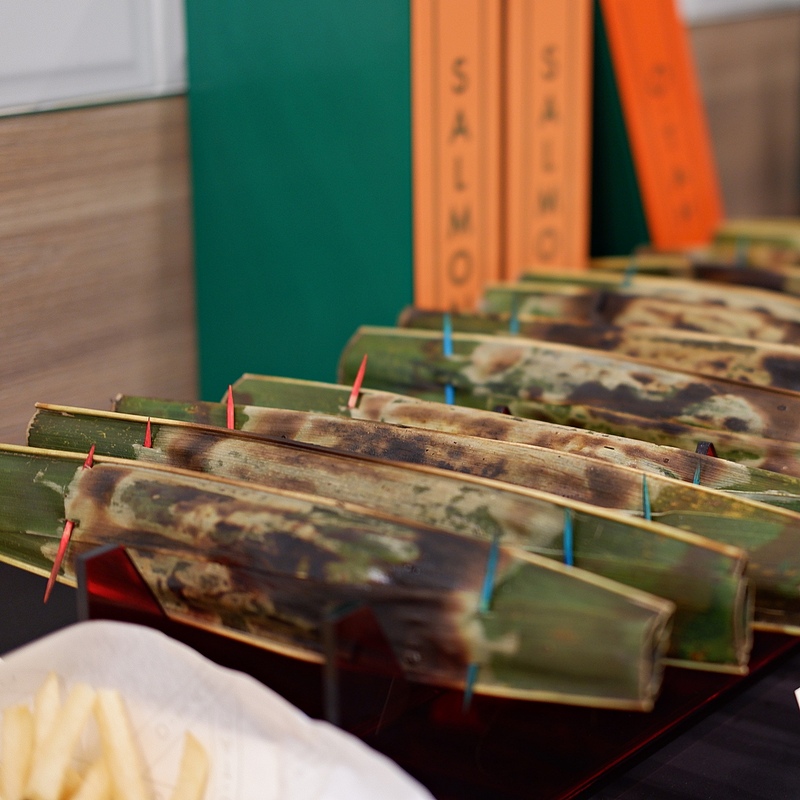 Be sure to dip the fish in the various Sambal sauces for that extra spicy kick. Rejoice Chill Crab lovers! 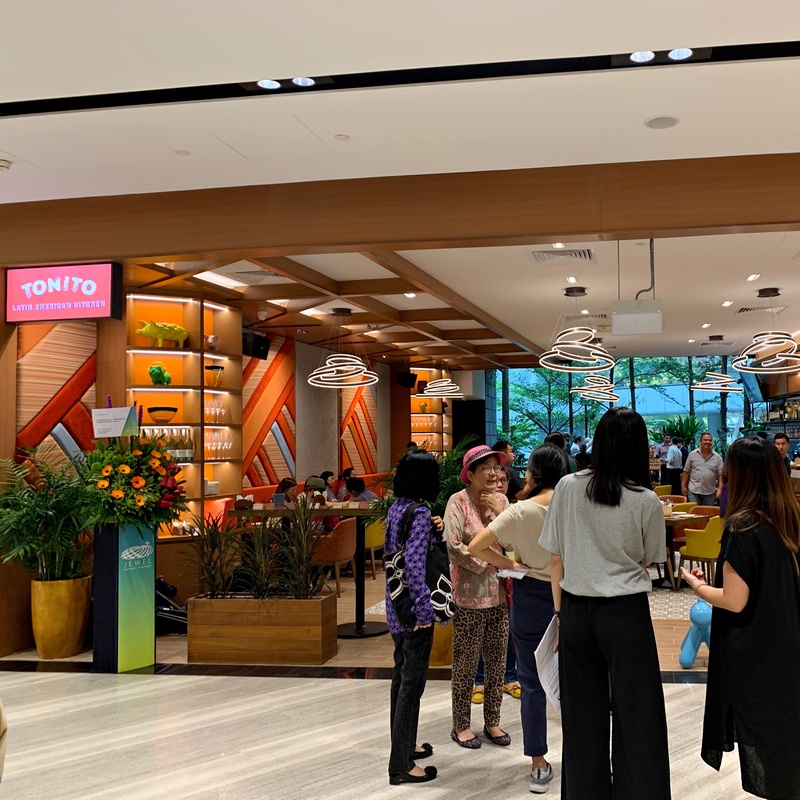 JUMBO seafood will be opening its sixth local outlet in the brand new Jewel Changi Airport. 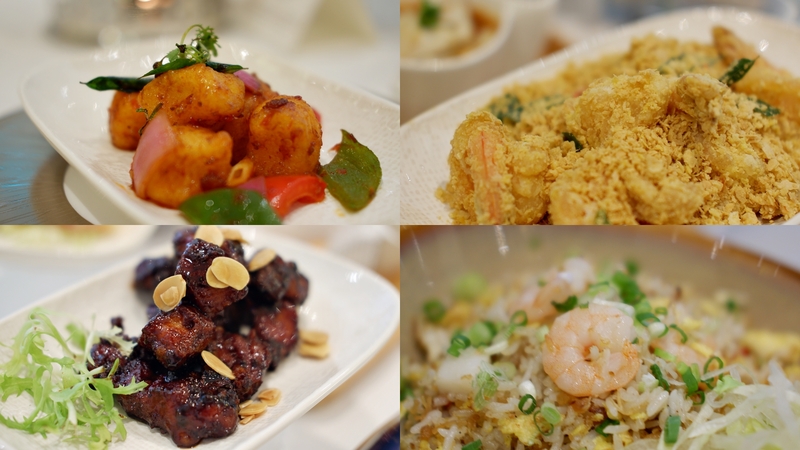 Expect the classic signature dishes such as JUMBO’s Award-winning Chili Crab and Live Prawns Fried with Cereal. If you are someone like me that prefers a fuss-free way of enjoying Chilli Crab, opt for the Chilli crab meat sauce with sliced fried ‘mantou’ ($16.80 per portion) presented in a bite-sized portion. 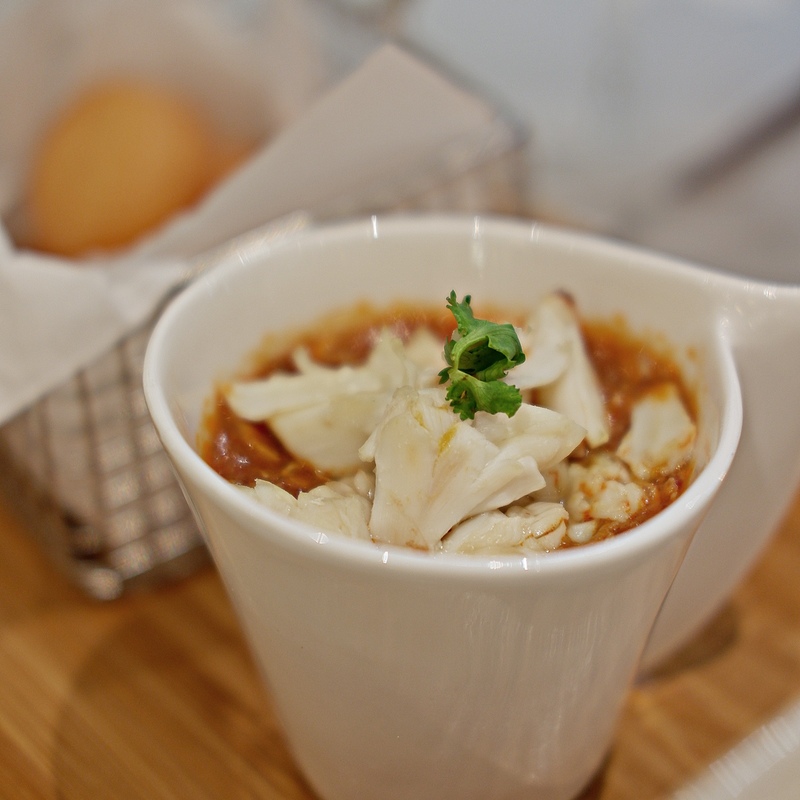 Ideal to satisfy your crab cravings with a fuss-free quick fix. 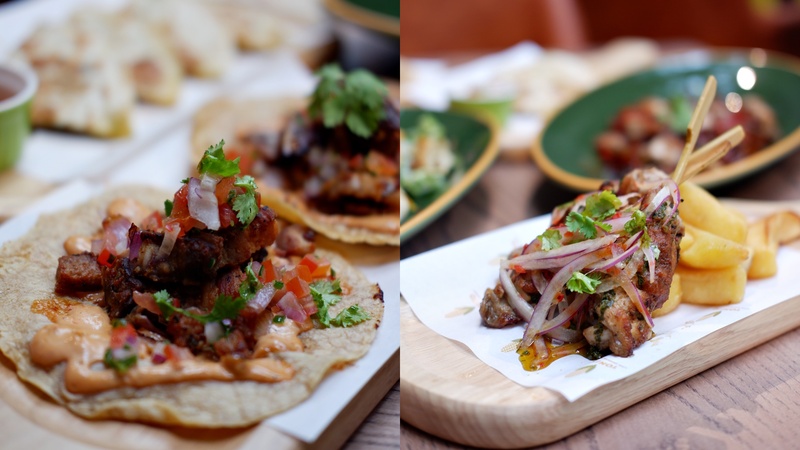 Tonito brings comfort Latin American favourites from places like Mexico, Peru, Cuba and Argentina for everyone, any time of the week. The menu offers a wide selection of Mexican tacos and quesadillas. The family-friendly haven for quick, hearty meals and laid-back bozzy treats anytime of the week. The well-rounded Muji has launched its two storeys. 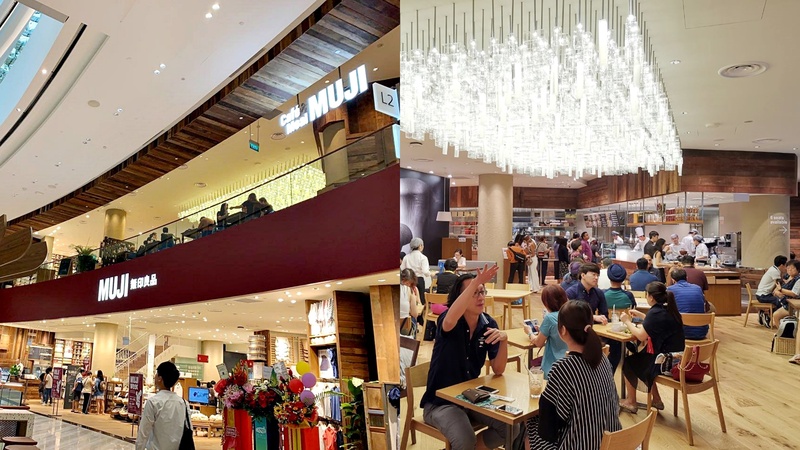 Dine at their spacious upper-level cafe while you shop at Muji. The Ben’s burger ($11.90) is an excellent creation showcasing mackerel fish patty, tomato, purple cabbage, caramelised onion and sunny side up, all sandwiched between fluffy charcoal buns. YUN NANS (云海肴) is choosing Singapore as the place to open its first store in 10 years. The flagship outlet will be located in the new Jewel Changi Airport. 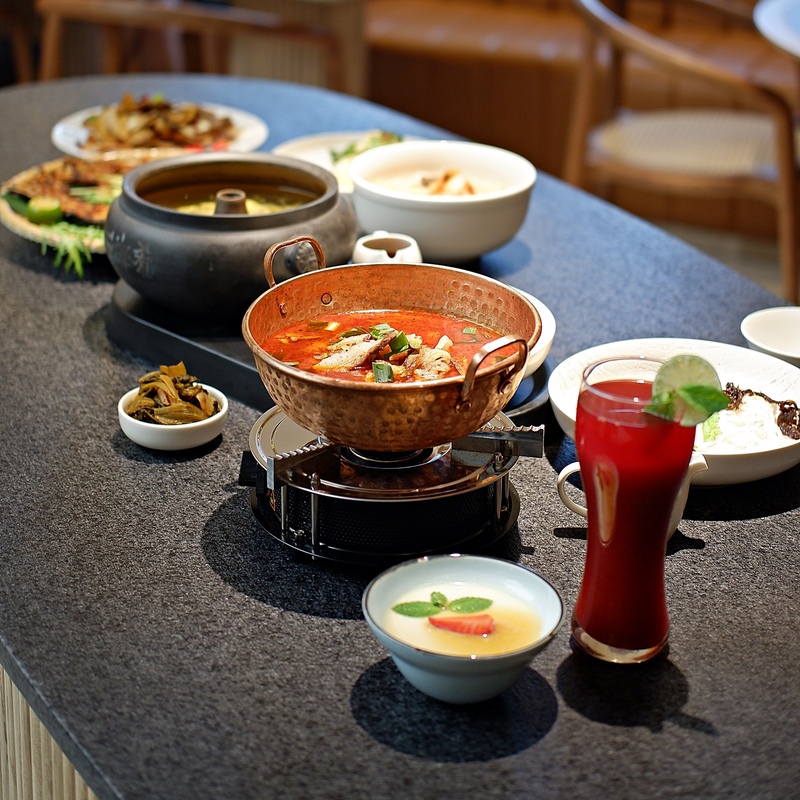 The restaurant specialises in highland cuisine, there are seven tropical belts in Yunnan. The highest measures 6,000 metres above sea level. Free from pollution, the natural terrain teems with wild porcini, wild black truffle, wheat pumpkin (green pumpkin). YUN NANS’s signature dish is the Steamed Pot Chicken Soup. The main ingredient consists of a special breed of black feet chickens and is brewed using a unique technique that does not require a single drop of water. Instead, the chicken is pressure-steamed for three hours. The soup is delicate, and robust in flavour. At the new YUN NANS outlet, the Yunnan Rice Noodles in Prawn Broth with Black Truffle is exclusively available in Singapore. 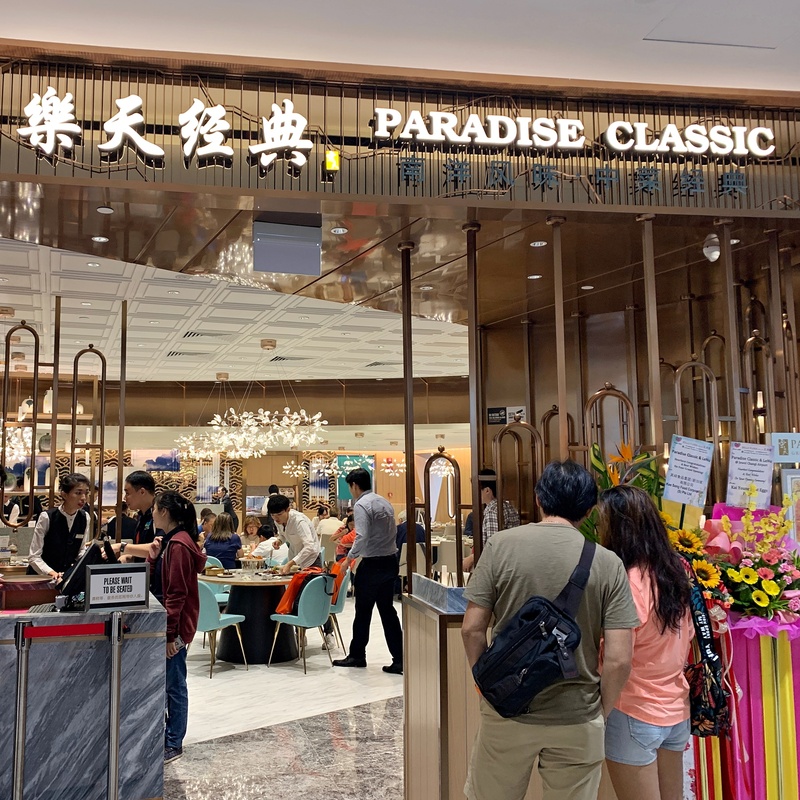 A concept by Singapore-based restaurant chain Paradise Group, Paradise Classic focuses on Nanyang-style cuisines. These dishes have been greatly influenced by the availability of local ingredients and spices. 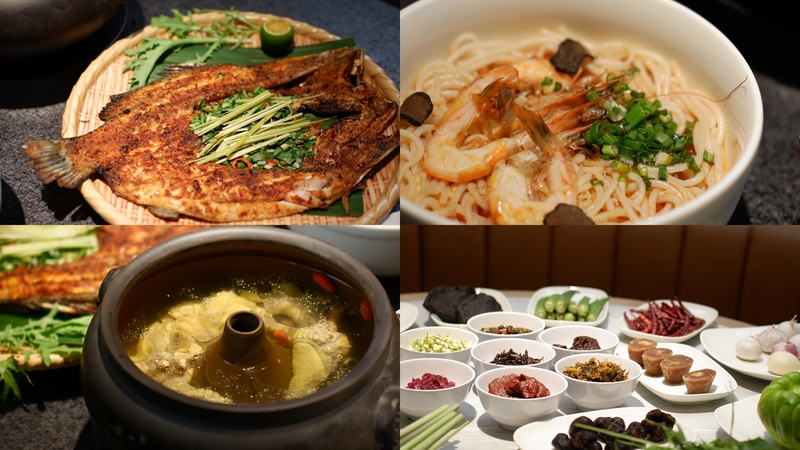 Signature dishes here include the Crouching Tiger, Hidden Dragon Seafood Broth Seafood Pot (S$69.80). 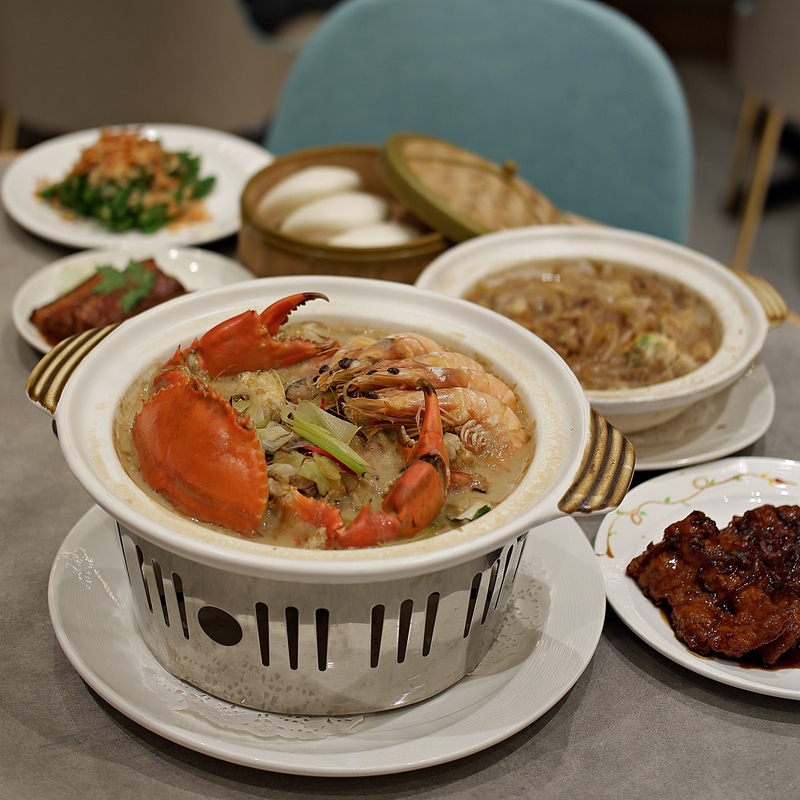 The seafood broth is boiled for more than six hours and filled with treasures of the sea including crabs, prawns and squid. Each mouthful of soup envelopes the palate and refresh the senses. Not to forget, the French Bean with Preserved Turnip and Dried Sakura Ebi ($16.80). A dish with various textures, crisp and crunchy, this is a dish that will please everyone on the table. 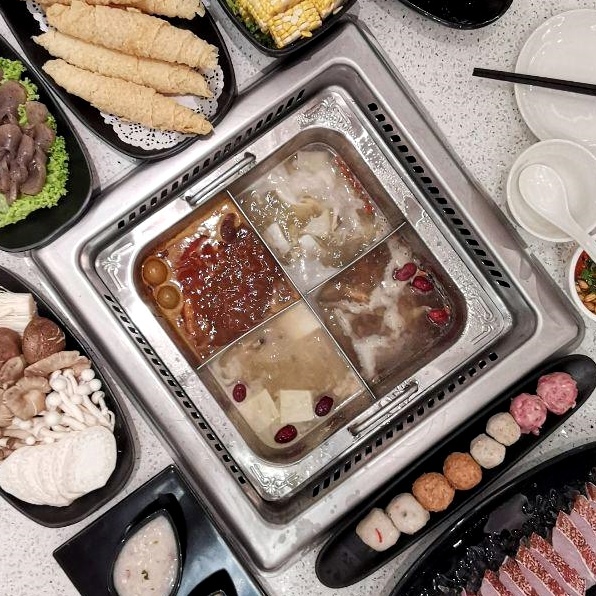 Beauty In The Pot is the only hotpot restaurant in Changi Airport. A concept by Singapore based restaurant chain Paradise Group, long queue are a common sight come dinnertime. Inspired by “JEWEL” and the glamour of air travel. It exhibits art disco style, symbolising luxury, glamour, with pastel tiffany blue and brass dominating the colour scheme, the restaurant is set in a jewel box with gracious lines and gorgeous furnishing. Beauty in a pot serves six different nourishing soup bases that promise rich flavours and nutritional benefits. Diners can choose between a single pot, twin pot or a quart pot. The signature Beauty Collagen Broth is my personal favourite. Packed with rich and sweet flavours, this pot of goodness is boiled for many hours with ingredients such as pork bone, pig’s trotters, chicken and chicken feet etc. As such the broth has a thick consistency and is packed with collagen. Enjoy the delicious broth with must-have items such as Homemade Fish Tofu (S$2.20/piece), made with yellowtail fish, soya bean and egg white all blended to perfection. The sweetness of the fish coupled with the smooth, melt-in-your-mouth texture perfect to cook in all types of broths. 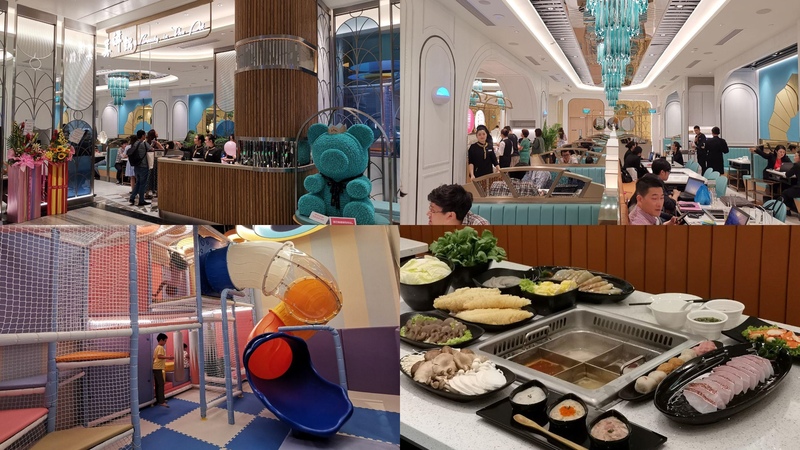 This entry was posted in Blog and tagged 10 Restaurant To Visit In Jewel Changi Airport, 10 Restaurants To Eat In Jewel Changi Airport, airport, Beauty In The Pot, Canopy Park, changi, changi airport, eat, FOOD, HSBC Rain Vortex, jewel, Kam roast, lunch, Muji Cafe, Paradise, place, restaurant, restaurant jewel, Restaurant To Eat, Restaurants, Restaurants In Jewel Changi Airport, Restaurants Jewel, sama sama, Shiseido Forest Valley, Singapore, the jewel, Tim Ho Wan, tok tok, visit, yunnan on April 14, 2019 by Cherie Toh.